Home / reviews / srilankan / Is this the longest leg room ever on a plane? How much legroom do you get in a plane? Some of the most generous airlines have 33-34 inch legroom while some of the budget airlines have the least- 30 inch legroom on their planes (Ryanair, easy jet etc). Most other airlines have about 31 to 32 inch legroom. Of course, leg room is a bit longer in exit rows, because of which these rows are sought after by passengers and many airlines charge an extra fee to assign the exit row seats. Business class and first class passengers naturally get a much more spacious legroom. 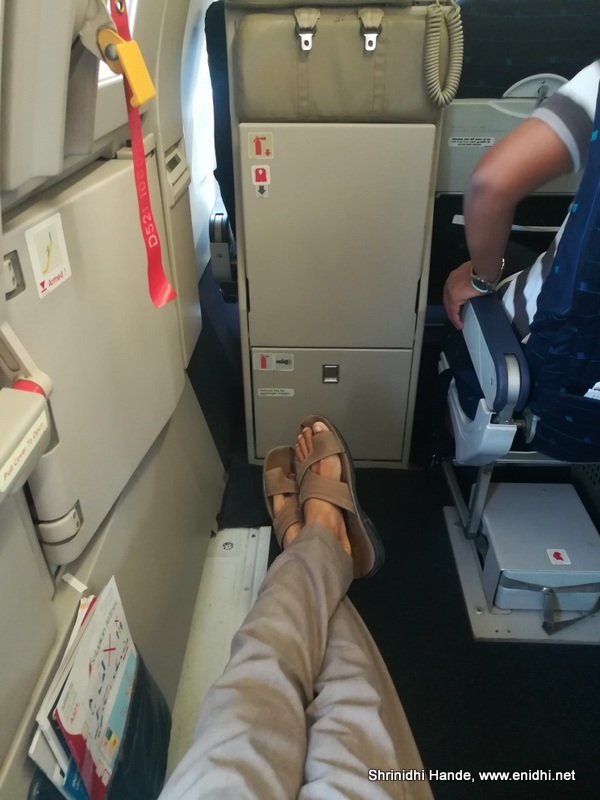 But the longest leg room I ever had on a flight was recently in a Srilankan A321 flight from Colombo to Chennai. Two seats on row 11, 11 A and 11 F had double the leg room- more space than my legs could stretch, due to this strange seat configuration. Row 10 and 11 were emergency exit rows. Row 11 naturally had extra leg room, but what was interesting is that there were no 10 A and 10 F seats. So passengers in Seat 11A and 11F could stretch their legs as much as they could. I was lucky to be in 11A and I had all the space in front of me, more than what a business class seat would have offered. However, note that there are two jump seats in place of 10A and 10F. Cabin crew may take this seat during take off and landing. No one did on my flight, though I saw a staff taking the jump seat in-front of 11F during landing. Seats recline, but tray table is in the armrest which can't be folded- few drawbacks worth living in exchange for extra leg room. 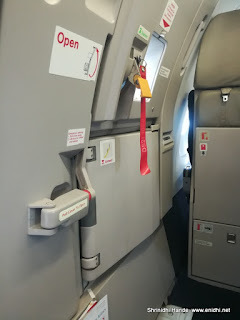 I was not given any ABP briefing (instructions given to Able bodied persons sitting in emergency exit row). A cabin crew later said cabin crew manager was supposed to do that. Have you ever had a longer leg room in any airplane?